When I was growing up, rhubarb was always our first fruit of the spring. I remember my mom going back to the rhubarb plants behind my grandparents’ house, and coming back with a bowl of rosy stalks. While it wasn’t my favourite fruit as a kid (it’s pretty tart), there was one way I always loved it – my mom’s rhubarb pie with an oatmeal crisp base and topping. It was the perfect way to celebrate the beginning of the growing season. Since then I’ve grown to love rhubarb in many ways. Every spring I buy at least one big bunch to bake with, and my rhubarb apple crisp is a new classic that I make at least once a year. This crumble had a little extra sweetness from the plums, but otherwise it brought back memories of my mom’s pie. The most vibrant spring flavours, with a squeeze of sunshine: It doesn’t get better than that. Toss together the flour, oats, 1/2 cup brown sugar, cinnamon, salt and pecans until everything is well-combined. In a small bowl, mix together melted butter and 2 Tbsp maple syrup. Pour over the oat mixture and stir until evenly combined. Set aside. Place chopped plums and rhubarb, lemon juice, 1/3 cup maple syrup, 2 Tbsp brown sugar, and flour in a bowl and combine. 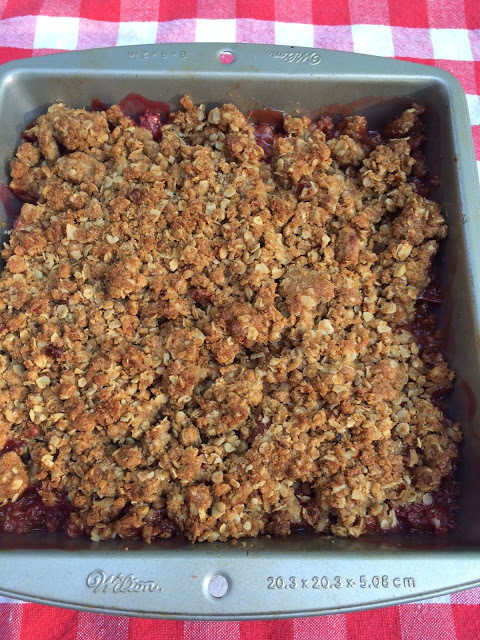 Pour fruit into an 8″ x 8″ baking pan and top with crumble. Bake for 35 minutes until the topping is golden brown and the fruit is bubbling. let cool for a few minutes before serving. I just baked some plum streusel muffins :-)) We are definitely on the same culinary wavelength, Beth. Your crumble looks so inviting! Don't die of shock but I've never eaten Rhubarb. I'd try it in your yummy recipe. I feel like rhubarb came late this year. It's just now showing up in stores. I remember it being a spring "fruit" too. Love rhubarb and love crumbles. So of course I love this dish! Good stuff — thanks. Looks absolutely delicious…and I love the combination of plums and rhubarb. Looks so good. Maybe I should make this one soon. Okay, yes, I will make this one soon. Thank you! 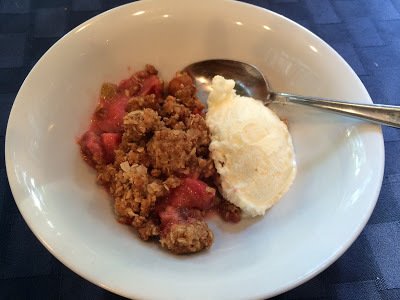 Hi Beth, what a beautiful and tasty crumble, I bet rhubarb and plums are magical together and what a nice way to celebrate the beginning of the growing season. We had lots of rhubarb in the backyard of my childhood home and I have memories of my mom's desserts, too. I'd love this crumble with the tasty fruit combo, oat topping and a big scoop of vanilla ice cream! 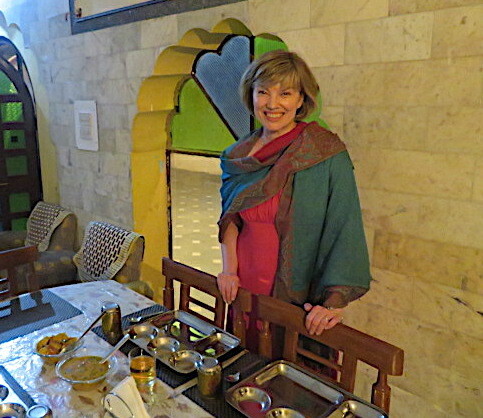 I love food memories and traditions. I have vanilla ice cream in the freezer…just wish I had your crumble! Hate to admit it, but rhubarb is one of those things I can't even swallow! Makes me a bit of an oddity. i have NEVER baked with rhubarb and i've only eaten it a handful of times! this looks so good, and it's even better since there are special memories tied to its main ingredient! I don't see rhubarb in any of the shops around here. It is a disgrace. I love rhubarb apple crumble, it is a classic for us as well. I have to try it with the plums too, I am sure I would like it. The plums sound like a great combo with rhubarb! But with all that history, you should really get yourself a rhubarb plant. It's no work and so nice to be able to eat rhubarb on a whim! I haven't had rhubarb in a long time, but I bet it's wonderful with plums!! Looks delicious, Beth! Rhubarb is something we cannot find here! This is a delicious crumble! The perfect time of year for cooking up crumbles like this! Love using seasonal fruits like this. Rhubarb ad plum is a delicious combo. This seasonal crumble looks wonderful.